Senorita is 100% responsive and retina display ready premium fashion stores eCommerce WordPress theme supports online shopping cart by using Woocommerce shopping plugin. 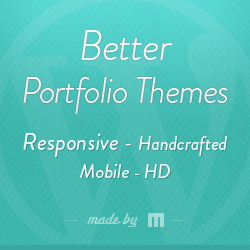 Built with intelligent theme options panel helps you to style your theme design what ever you want. Senorita fits perfectly for fashion stores and its cross browser compatible with valid HTML5 / CSS3 code and search engine friendly as well. Senorita woocommerce WordPress theme admin panel built with tons of shortcodes, WPML friendly to translate website in any languages and supports 600+ google web fonts, unlimited backgrounds and intelligent contact form included with google maps too. Built with best SEO standards and practises, so everything is prepared for your business to drive plenty of targetted visitors to your website to make more money online. Embedded with plenty of shortcodes which will helps you to create almost any layout you can imagine without hacking single line of code. Senorita theme options panel allows you to customize fonts, backgrounds, skins, colours, page templates in couple of steps and works perfectly with WPML multilingual WordPress plugin. Its cross browser compatible WordPress theme tested and works great with WordPress 4.4+ versions.